Örjans Vall is a purpose-built football stadium located in the port, university and industrial city of Halmstad. 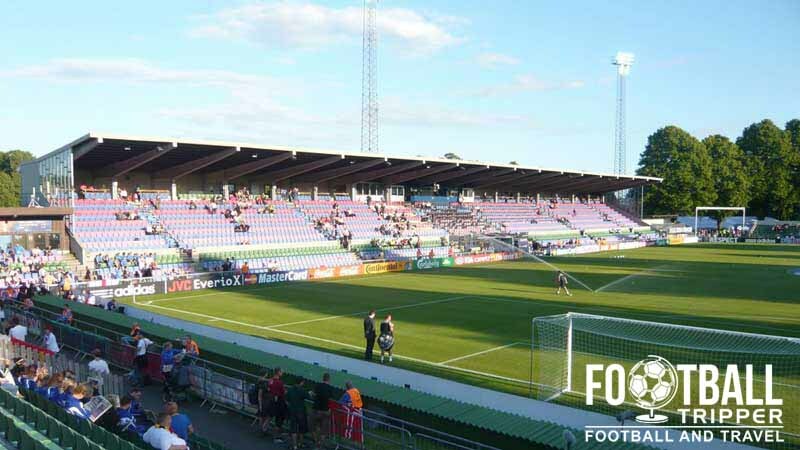 Dating back to 1922 when it was known as Halmstads Idrottsplats, the ground was majorly renovated in 1972 with the majority of the 15,500 capacity stemming from this expansion. The inaugural football match at Örjans Vall took place on 3rd September 1922 although the opening ceremony by The Prince of Sweden Gustaf Adolf was conducted on 30th July. 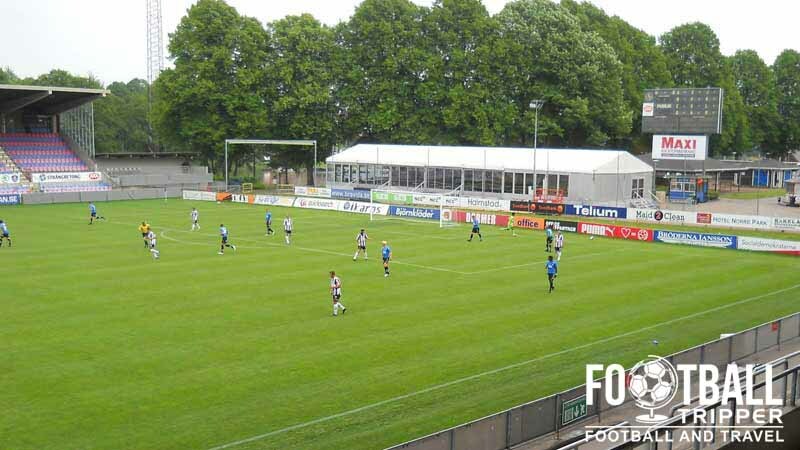 Initially capable of accommodating 12,000 supporters, the ground originally opened as “Halmstads Idrottsplats”, however it was renamed within two months after the former medieval hospital St Örjans which previously occupied the land. 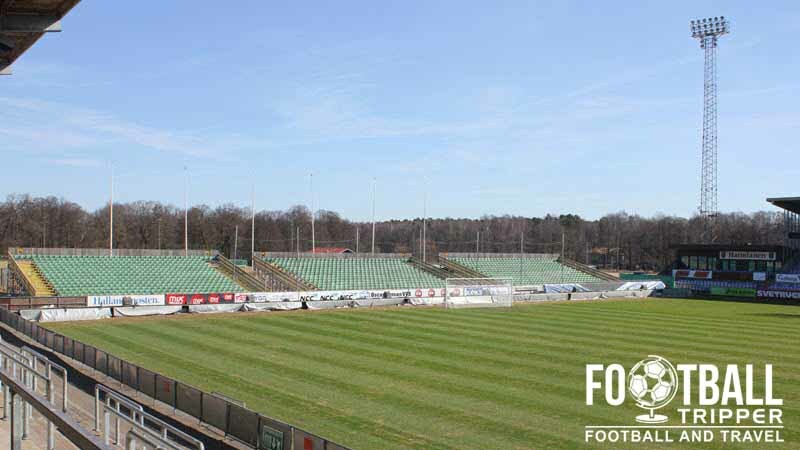 Initially designed as a multi-purpose venue complete with athletics track around the perimeter of the pitch, the stadium was used equally by athletics clubs and Halmstads BK until the 1980s when the stadium was remodelled as a football ground. The main stand which exists to this day first opened in 1972, and it replaced the original wooden stand which had been around since the ground opened. To date the record attendance is set at 20,381 which was set in 1962 during a match between IS Halmia, and Landskrona Bols. With a current capacity of 15,500 the record is unlikely to be beaten in foreseeable future, particularly as even matches of 1958 World Cup failed to attract crowds beyond 14,000. Örjans Vall hosted two matches in total: the first match saw Northern Ireland defeat Czechoslovakia 1-nil, and the second, a 3-1 victory for Argentina over Northern Ireland. Continuing the International pedigree to this day, Örjans Vall has since hosted matches of the Under 21s Euro 2009, and Women’s Euro 2013 competitions. As for the future of HBK’s stadium the club came very close to moving to a new stadium at Sannarp’s recreation ground in 2009, however the local council were unable to allocate funds from their annual budget. If it had gone through, Örjans Vall would have been turned into flats, and the new ground would have been open in 2012 after three years of construction. Örjans Vall Stadion is comprised of four stands: North, East, South and West. 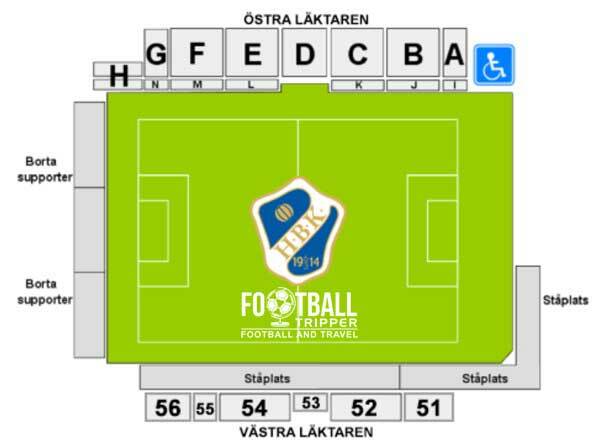 Away fans (Bortasupportrar) are housed within the northern stand which sits behind the goal as per the above seating plan. Uncovered and thus exposed to the elements, the away stand is capable of accommodating up to 2,000 visiting supporters per match. Official merchandise can be purchased at the ground on matchdays. Stadium tours of Örjans Vall are unlikely to be on offer as a tourist attraction but we’d be happy to be proven wrong. 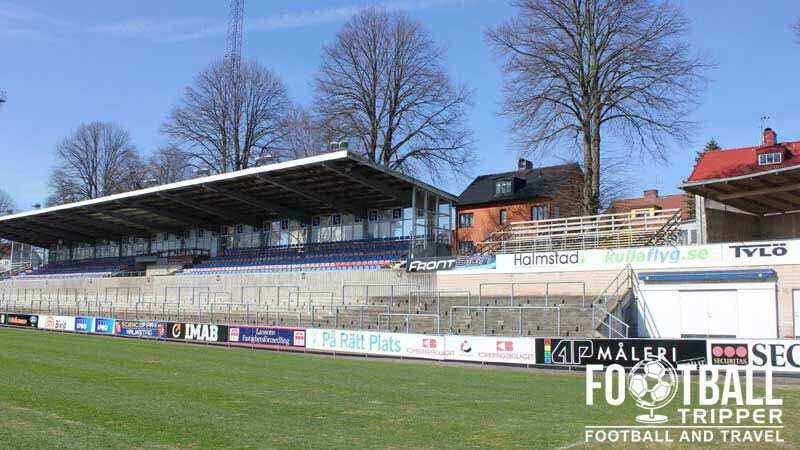 Tickets to see Halmstads BK play at the historic Örjans Vall stadion can either be purchased online in advance of the match (small savings to be made), at the club’s office during the week or at the stadium on matchdays just before kick-off. A place on the terrace will cost you 150 SEK whereas upgrading to a seat will cost you 200 SEK – an extra 50 SEK which is undoubtedly worth it in some cases! Örjans Vall sits on the western bank of the river Nissan approximately 1.6 km north of the Halmstad’s classic centre where the castle is located. For most Football Trippers the walk to Orjans Vall will be very enjoyable as you can follow the river northwards and through Norre Katts Park. There are a few small parking areas at the stadium however it’s unclear as to whether or not they’re open to the general public on matchdays. Halmstad Central Station has a number of routes Sweden and Scandinavia with direct services to the likes of Gothenburg and Copenhagen. A look at the main stand from the outside, as well as the small parking area. A few hundred metres west of the ground along the main road of Slottsmöllevägen there are two bus stops. Halmstad Halmstad Olympiavägen is served by bus number 60 and Halmstad Kastanjeallén by 60 as well as 316, 351 and 400. Halmstad City Airport is small and only used by a limited number of airlines to fly to Stockholm each day. The larger Ängelholm-Helsingborg Airport can be found 55 km south along the E6 motorway and Gothernburg’s two airports to the north. Back within the city centre there is the likes of Best Western, Hotel Continental and the Scandic Hallandia which are all established chains. Two of the more affordable places to stay which are almost half the price of the others are Hotell Amadeus and STF Halmstads Hostel “Kaptenshamn”.